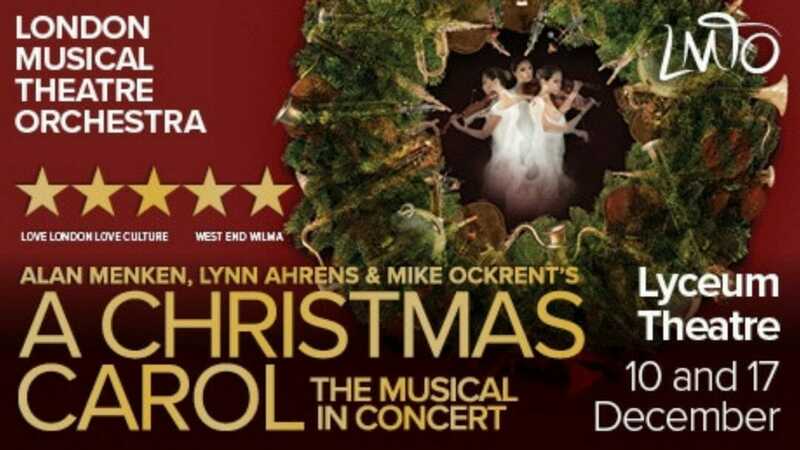 Following sell-out performances in 2016 and 2017, the London Musical Theatre Orchestra returns to the Lyceum Theatre for three performances of their critically and popularly acclaimed concert production of Alan Menken, Lynn Ahrens and Mike Ockrent’s A Christmas Carol. A Christmas Carol will star one of Britain’s best-loved entertainers: comedian, actor, writer and producer Griff Rhys Jones will play Charles Dickens’ great miser Ebenezer Scrooge. Griff Rhys Jones has been a household name since the 1980s and is currently touring Australia with Griff Rhys Jones: The Unexpected Traveller. Joining Griff Rhys Jones, LMTO today announced the star casting of Lucie Jones (Les Misérables / Legally Blonde / Eurovision 2017) as Emily / The Ghost of Christmas Future, Miriam-Teak Lee (Hamilton / On The Town) as The Ghost of Christmas Past, Cedric Neal (Chess / Motown) as The Ghost of Christmas Present, Rosemary Ashe (The Witches of Eastwick / The Phantom of the Opera) as Mrs Fezziwig, and Nicolas Colicos (The Producers / The Bodyguard) as Mr Fezziwig. Further casting is soon to be announced. Due to exceptional demand, a matinee performance has been added at 4pm on Monday 17th December. Tickets for all three performances are on sale now.